The $2.5 million Brelsford WSU Visitor Center opened in September. 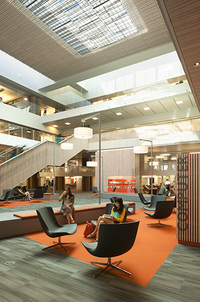 It was designed by Olson Kundig Architects and built by Sellen Construction. The dorms reflect what’s trendy now: apartment-style floor plans with shops, restaurants and fitness centers. 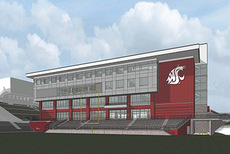 The new lab will be a dramatic gateway to WSU’s Tri-Cities campus. UW’s Intellectual House will be a center for native history and culture. 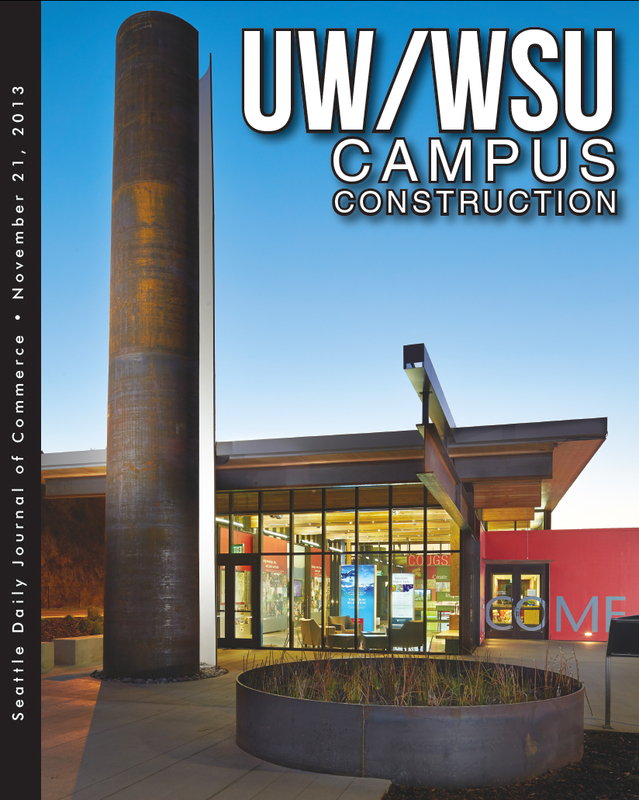 Residents will have their pick of indoor and outdoor hangouts at WSU’s Chief Joseph Village. The university wants to build housing to compete with off-campus options. Click to see which project topped our list this year. 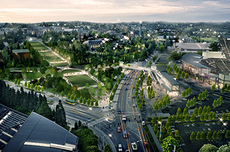 Washington State’s biggest project cost $96 million. A monumental “WSU” sculpture makes the campus gateway photogenic enough to go viral. The Olmsted Brothers’ “fountain to mountain” walkway will at last extend to Montlake Triangle, creating a front door to the university. Early teamwork will reveal constructibility issues before they become expensive problems in the field. 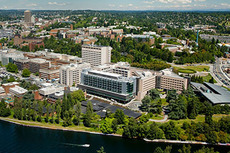 The project team for UW’s Odegaard Undergraduate Learning Center used integrated delivery to quickly remodel one of the busiest buildings on campus.